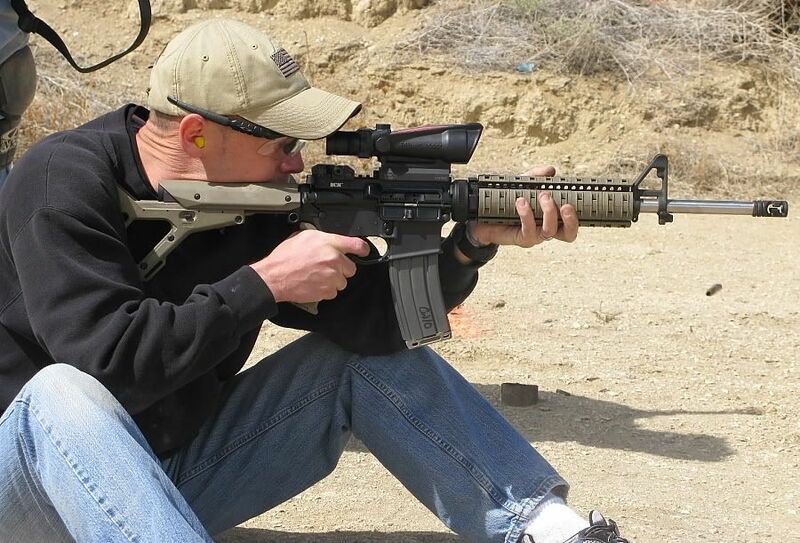 Over the past 15 years I have used numerous muzzle different flash hiders, muzzle brakes / compensators. 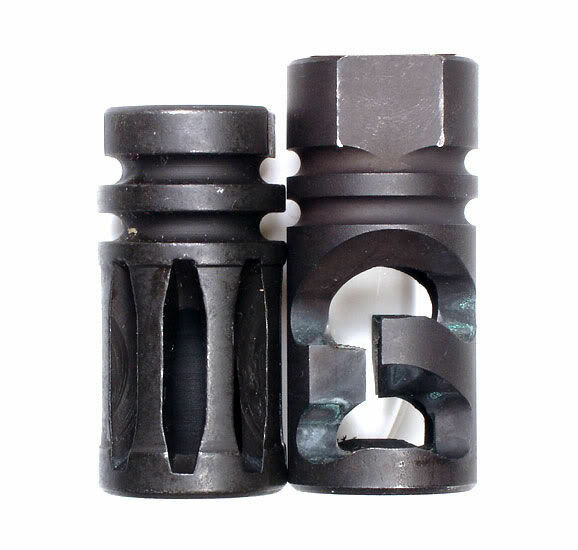 A short list of the flash hiders / muzzle brakes that I have used are: USGI A1 and A2 compensator, Sabre Defense long A2, Noveske Krink, Smith Vortex, Smith Ent. muzzle brake, Gem-Tech A2 and Vortex bi-loc, MSTN QC Comp, Surefire 556k flash hider and muzzle brake, EGW A2 muzzle brake, Bushmaster Y-Comp and Mini-Y Comp, Bushmaster AK muzzle brake, JP Enterprises "Tank Brake", JP Enterprises muzzle brake, Levang linear comp, CavArms Cav Comp, Wilson Combat muzzle brake that looks like the Cav Comp, Phantom flash hider, Ops Inc 2 port brake, and several other designs. Listed above are just the muzzle devices that I can think of off the top of my head. What I learned over the course of several years using several different types of muzzle devices is that, (to quote Pat Rogers) "There is no free lunch". If you wanted the best flash suppression it came at the cost of length (ie. 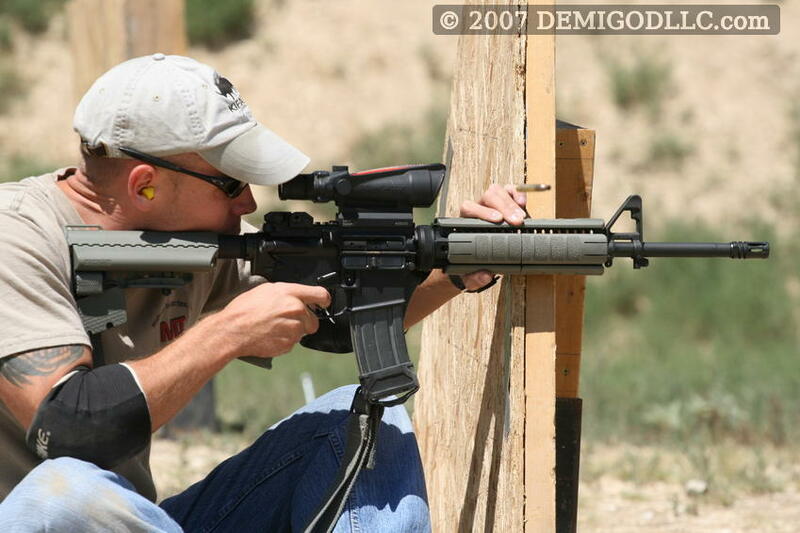 Smith Vortex or Phantom) and would offer very little in the way of reducing muzzle rise or felt recoil. 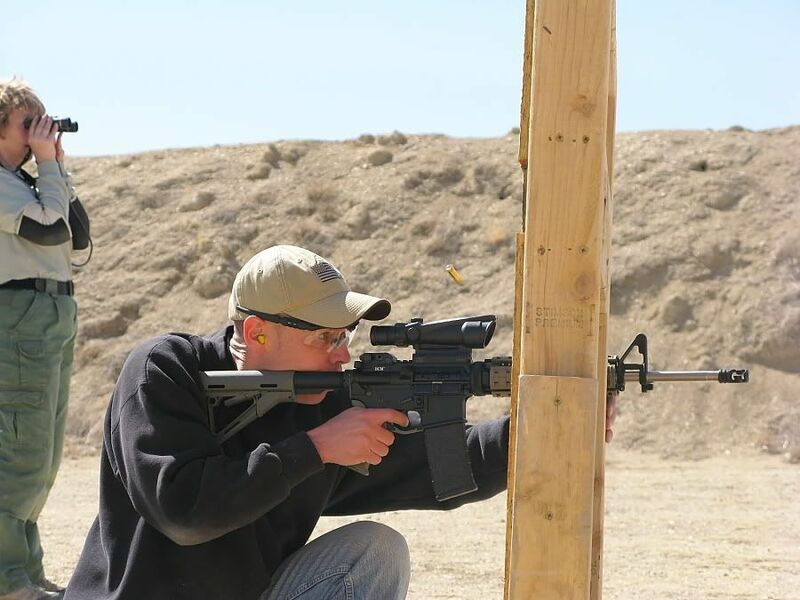 If you wanted something that was effective at reducing muzzle rise and assisted with quicker follow up shots, you would have to deal with a design that enhanced muzzle flash and muzzle blast (noise), that borders on being obnoxious, and is uncomfortable for some shooters. 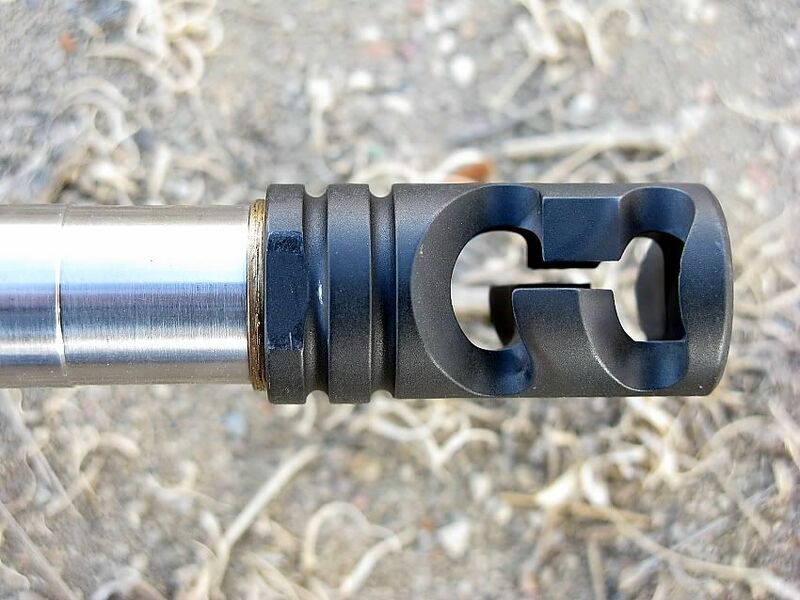 By design, most muzzle brakes direct most of the gases and muzzle blast out the side of the muzzle brake (3 and 9 o'clock). Approximatley a year ago I purchased a Primary Weapons System FSC556 flash suppressing compensator. 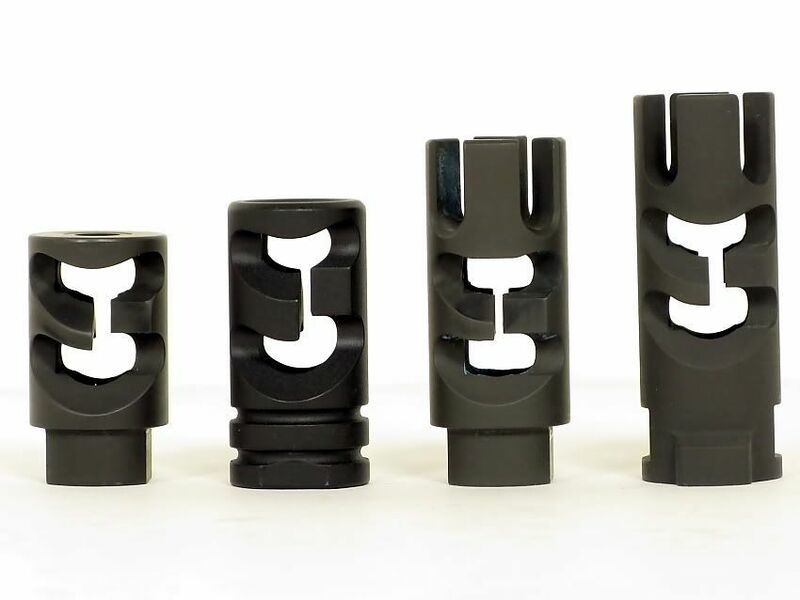 Compared to other flash suppressors / compensators / muzzle breaks that I had used over the years it was a good compromise between performance and not being too obnoxious or loud. 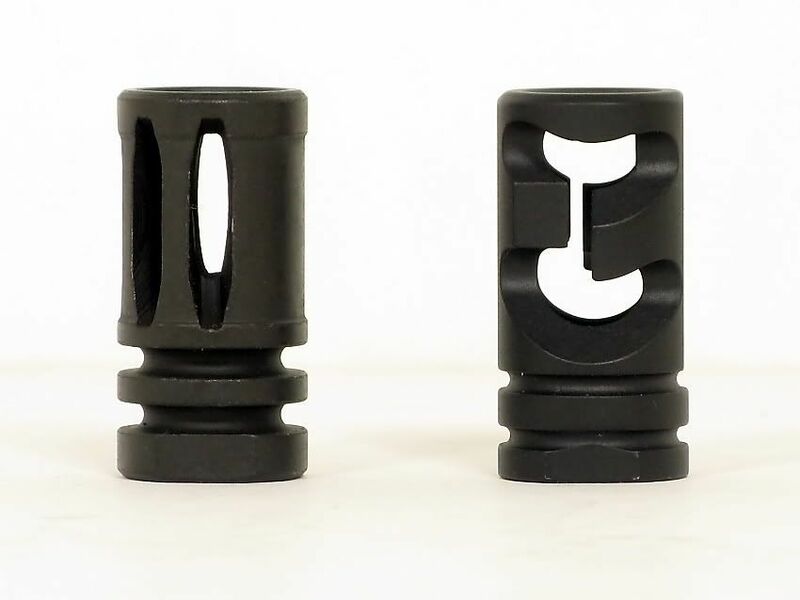 Several months ago I approached Todd at Primary Weapons System also known as PWS about modifying one of their compensators to be the same overall length as the USGI A2 flash hider / compensator. 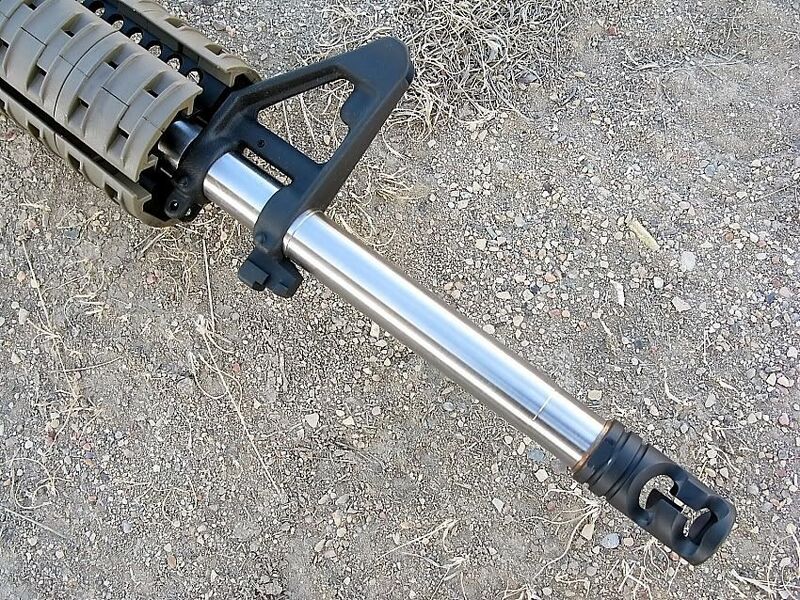 The reason I wanted a PWS compensator that was the same overall length as the USGI A2 flash hider (1.75") was because I have been using a 16� barrel with a mid-length gas system and a standard front sight tower as my competition (run and gun) gun for the last few years and had been running a USGI A2 flash hider / compensator on my competition guns. 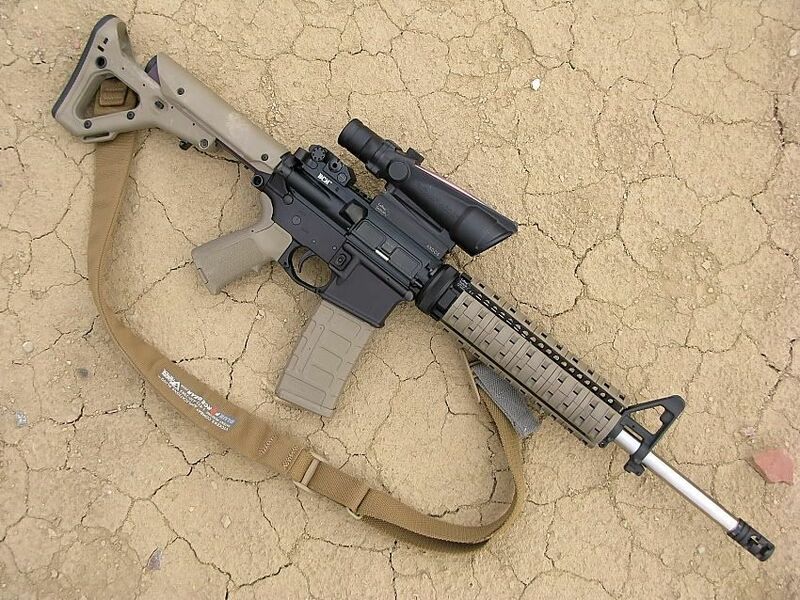 The USGI A2 looks familar to most AR shooter and "looks right" on most AR15 barrels with a front sight tower. I really liked DNTC (2.00") and the FSC556 (2.10"), but from a purely aesthetic standpoint both of these compensators look too long on the mid-length barrel with the standard front sight tower. 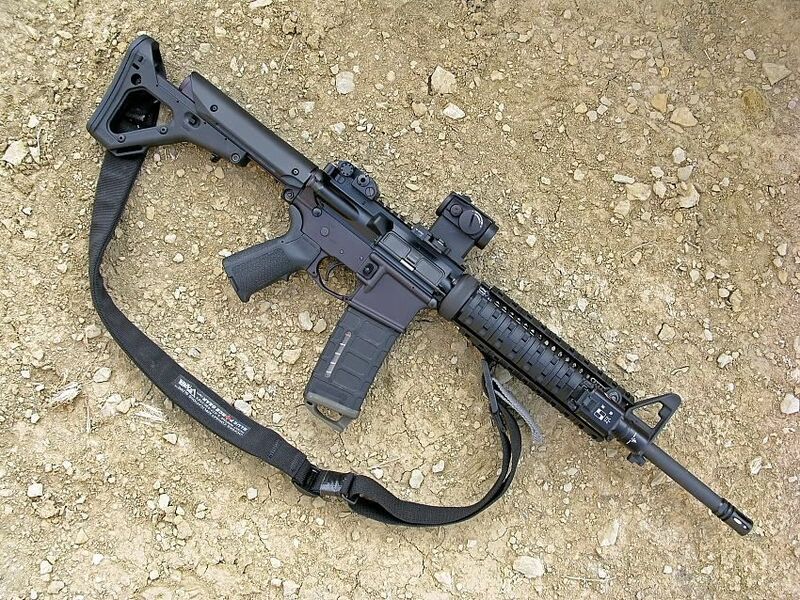 I liked the Primary Wepons DNTC as it looked very simular to the USGI A2 (with the two rear rings and wrench flats). The DNTC has a nice, clean, familiar (looks like the USGI A2) look to it. The only thing I didn't like about the Primary Weapons DNTC was the overall lenght. To me, the DNTC looked to long on a 16" mid-length barrel with a front sight tower. Performance is paramount, but we all want gear that performs well and is aesthetically pleasing. I already knew I liked the performance of the Primary Weapons compensators. So I embarked on a project that was based entirely on aesthetics. 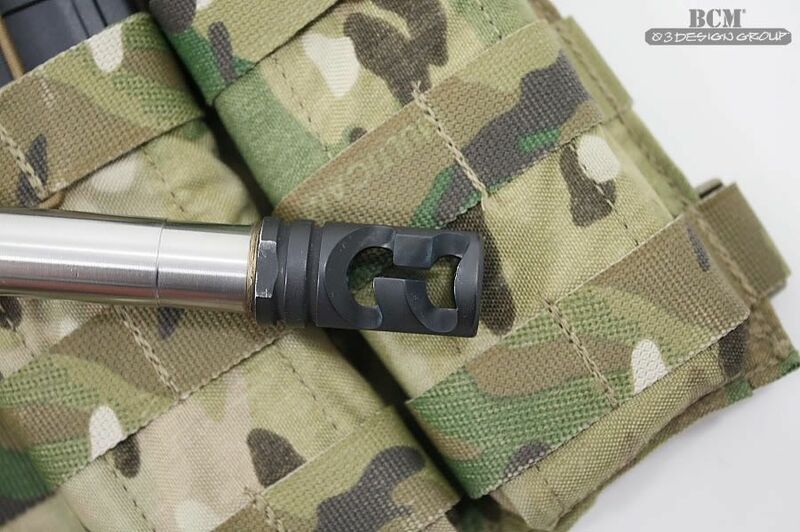 Having a DNTC cut down to the same overall length as a USGI A2 flash hider has been something I have been thinking about doing since late spring / early summer of 2008, I just didn't know of anyone that could do the work. 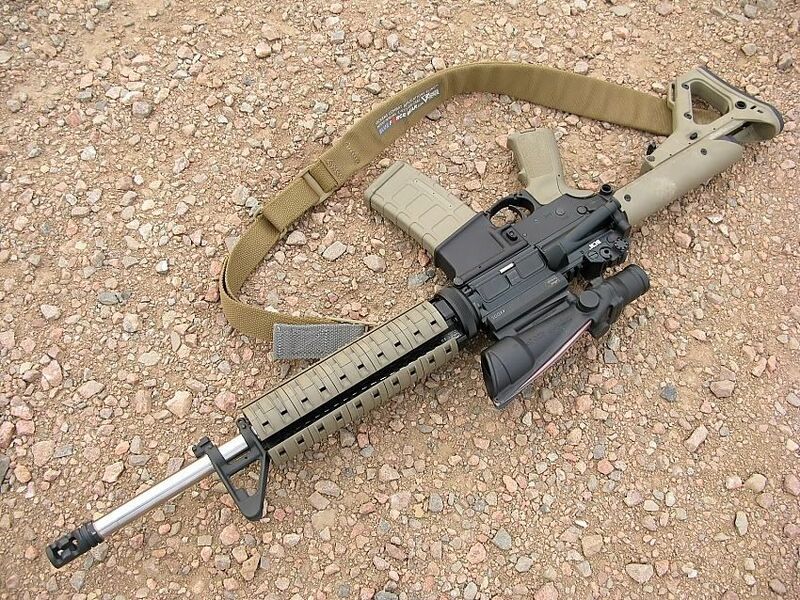 Recently, I contacted member gotm4 on www.m4carbine.net gotm4 is a armorer / gunsmith for a large gun shop on the east coast as well as a 3 gun shooter. I have admired many of gotm4's projects and custom work over the years. I contacted gotm4 to see if he was willing to take on the project and if he had the ability to do the work. After gotm4 said he was willing to do the work, I was able to purchase the DNTC through gotm4 and pay him directly for the custom work, which made this project a little more convient than I had anticipated. From left to right (All Primary Weapons Systems compensators): Todd's Tiny One Comp, custom DNTC (work performed by gotm4), FSC556, and FSC556 Quick Comp. Yesterday I took the Bravo Company stainless mid-length with the custom Primary Weapons DNTC compensator and a Bravo Company standard mid-lenght with a USGI A2 flash hider to the range to do some side by side comparisons between the custom DNTC and the USGI A2. I used these 2 carbines as it was the best "apples to apples" comparison I could do. 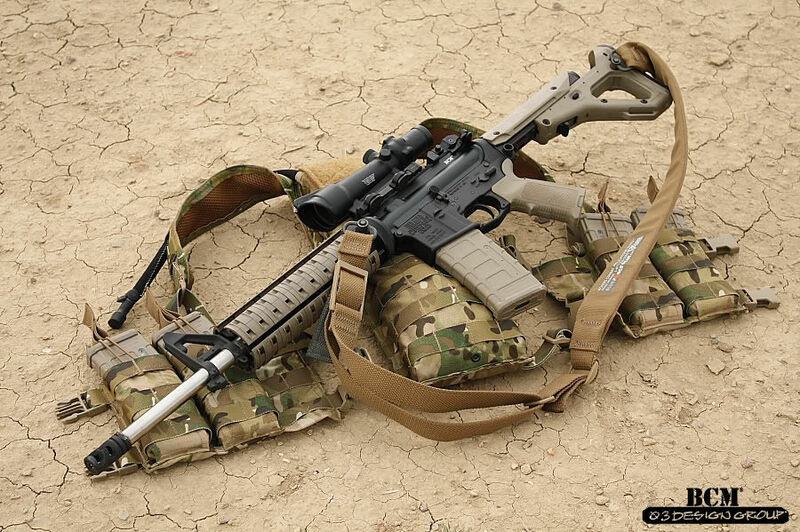 Both guns were made by the same manufacturer, had the same barrel length, same gas system, same buffer weight, same bolt carrier group, same rail system, same stock, etc. My observations from yesterday's range session with both mid-lengths. When confirming zero with both carbines under the tin roof sun shade (shooting from a shooting bench, using a rifle rest, and pulling the rifle in tight to the shoulder, support hand pushing the stock into the shoulder), I noticed that the DNTC had a noticable (but not huge) advantage over the USGI A2 in reduction in muzzle flip. I also noticed that the DNTC was little louder than the USGI A2. The only hearing protection I was wearing was the yellow foam ear plugs. It's been my experience that shooting under the tin roof amplifies sound. The only time I noticed that the DNTC was louder was when I was paying attention to the sound. It's hard to articulate, but the noise the DNTC makes is more of a blunt noise, and not a sharp crack that I've experienced with other muzzle breaks and compensators. After confirming zero's on both guns (and making some minor adjustments) I moved down a couple ranges and started shooting steel from standing, kneeling, sitting, and prone. 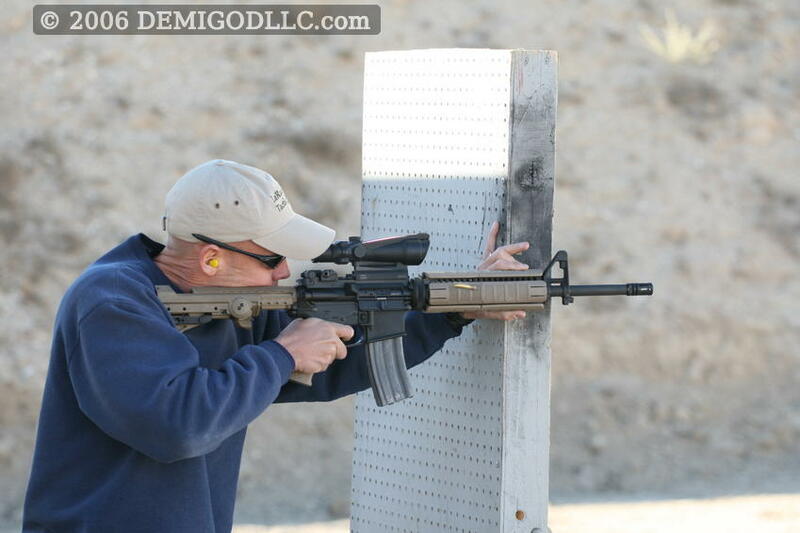 The DNTC did an excellent job at reducing muzzle flip and follow up shots were much quicker from all positions. Out in the open, I didn't notice much difference in noise between the USGI and A2, unless I was paying attention to it. Once I started paying attention to it, I noticed that the DNTC was louder than the A2, but not by a huge margin. That being said each person is a little different as to how sensitive they are to noise, so your milage may vary. 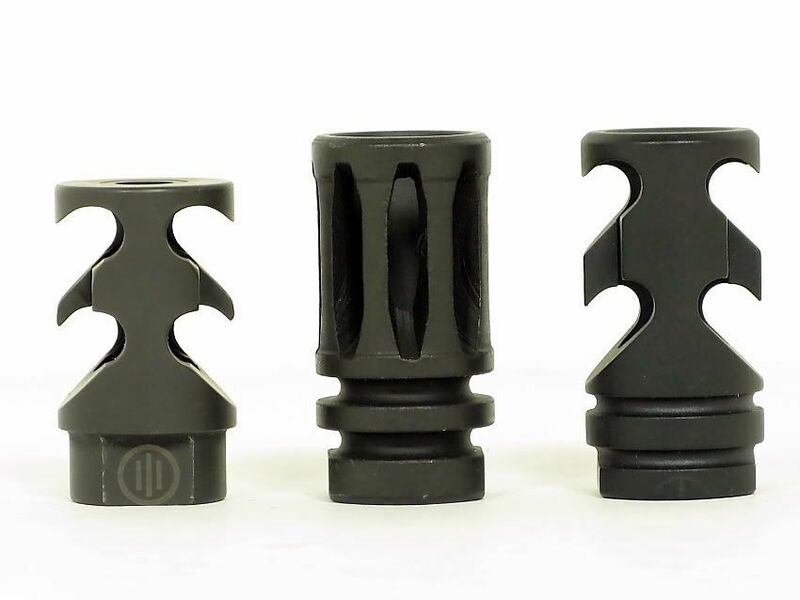 Overall, I am impressed with both the performance and the aesthetics of the Primary Weapons custom DNTC compensator.